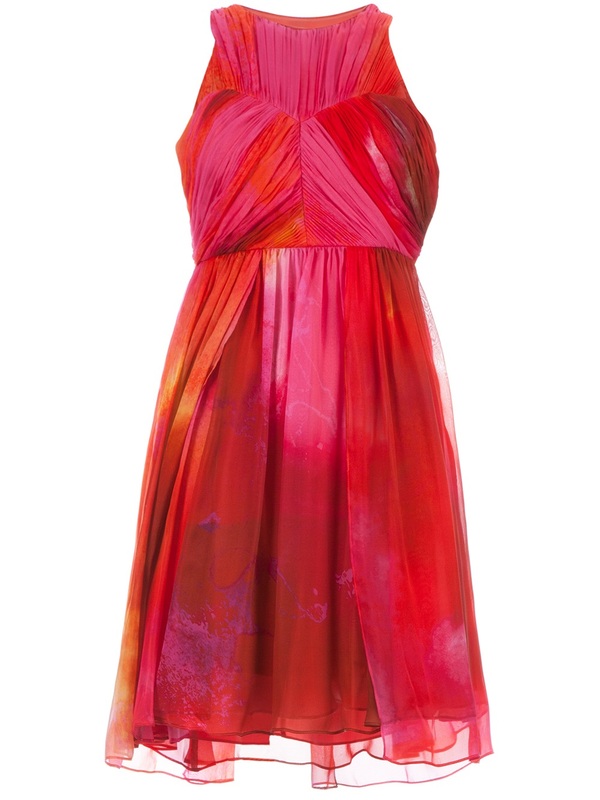 Summer is always great because you start to see one of my all-time favourite colour combinations - fuchsia and red! It always looks so cheerful and happy, that whenever I see it, especially in heels, it fills me with glee. When they also are mixed media like these red suede and pink leather sandals from Iro, then you just know that I am a very very happy girl! The little string tassle bow at the back of the heel is a fantastic little touch too. 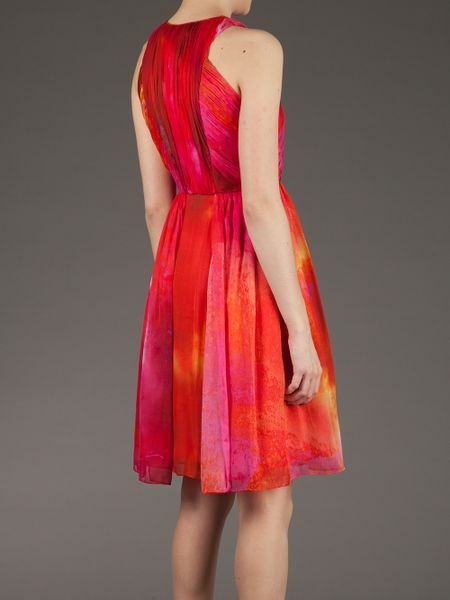 If I could pair them with anything, it would have to be this gorgeous floaty Matthew Williamson dress. 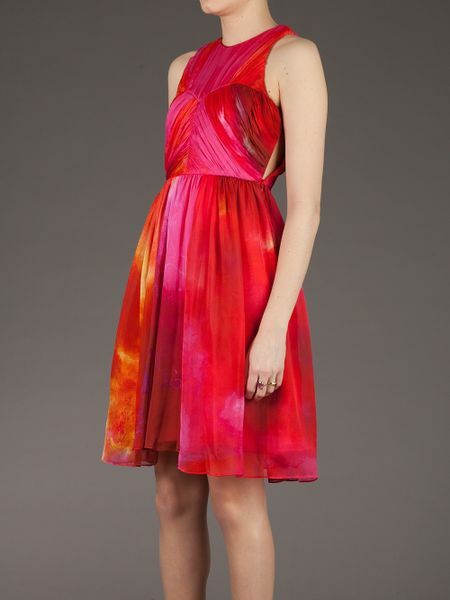 The dress could also be worn with an orange sandal or pump too. Love it.